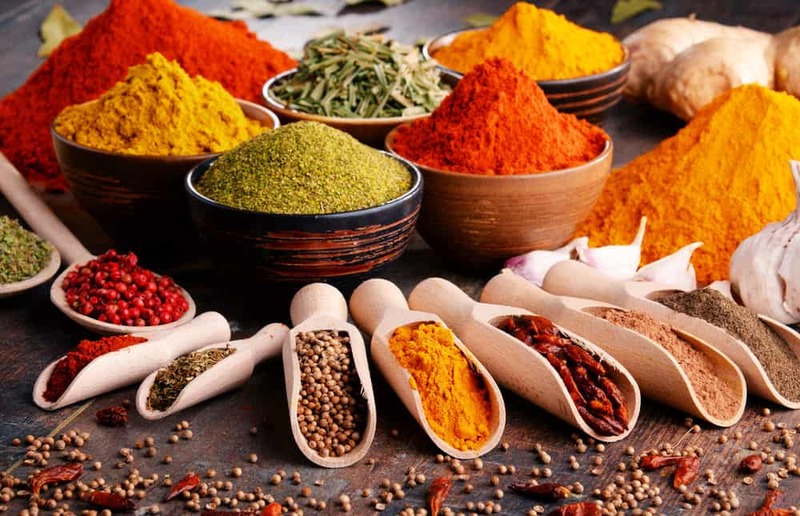 Kmark Spices which also contribute to our country’s economy has been honour of spices sector with % 100 unadulterated, natural and quality productions. Kmark Spicest aim is to make red sweet powder pepper possible reached new markets and consumers by making the production and consumption conscious. The pleasure of our customers about our products is honour of us. We thank to the respected brands in , which enabled red powder peppers to reach you, because of preferring us. Cumin (Cuminum cyminum) is a plant and a spice with a distinctive aroma, popular in Mexican, North African, Middle Eastern, western Chinese and Indian cuisine. It belongs to the family Apiaceae, which is popularly called the carrot family. Cumin has been grown and used as a spice since ancient times. Originally cultivated in Iran and the Mediterranean region, cumin is mentioned in the Bible in both the Old Testament (Isaiah 28:27) and in the New Testament (Matthew 23:23). It was also known in ancient Greece and Rome. The Greeks kept cumin at the dining table in its own container - much as pepper is frequently kept today - and this practice continues in Morocco. Cumin fell out of favor in Europe (except in Spain) during the Middle Ages, but is widely used today. It is now mostly grown in Iran, Morocco, Egypt, India, Syria, North America, and Chile. The name The name cumin is a distortion of the Persian city Kerman, where most of ancient Persia's cumin was produced. For the Persians the expression "carrying cumin to Kerman" is the same as the English language phrase "carrying coals to Newcastle." Kerman, locally called Kermun, became Kumun and then cumin in the European languages. In India, cumin is known as jeera or geera; in Urdu/Pakistan, cumin is known as zeera; in North-West China, cumin is known as ziran. Description of plant The cumin plant is an annual herb. Its stem is slender and branching to about a foot in height; the leaves are laciniate with filiform segments; the flowers are small, white or pink, and borne in umbels. The so-called seeds are its fruits, which are achenes. These, which constitute the spice cumin, are fusiform or ovoid in shape, and compressed laterally. Cumin seeds looks similar to fennel seeds, but are smaller and darker in color. The spice cumin Cumin fruits have a distinctive bitter flavor and strong, warm aroma due to their abundant essential oil content. Its main constituent and important aroma compound is cuminaldehyde (4-isopropylbenzaldehyde). Important aroma compounds of toasted cumin are the substituted pyrazines, 2-ethoxy-3-isopropylpyrazine, 2-methoxy-3-sec-butylpyrazine, and 2-methoxy-3-methylpyrazine. Their smell can also be detected in the eater's sweat even after consuming only small amounts. Today, cumin is identified with Indian cuisine and Mexican cuisine. It is used as an ingredient of curry powder. Cumin can be found in some Dutch cheeses, and in some traditional breads from France. In herbal medicine, cumin is classified as stimulant, carminative, and antimicrobial. The flavor of Cumin plays a major role in Mexican, Thai, Vietnamese, and Indian cuisines. Cumin is a critical ingredient of chili powder, and is found in achiote blends, adobos, garam masala, curry powder, and baharat. Origins Historically, Iran has been the principal supplier of Cumin, but currently the major sources are India, Syria, Pakistan, and Turkey. Thyme is the dried leaves of Thymus vulgaris, a small perennial of the mint family. The leaves measure about one quarter of an inch in length and one tenth of an inch in width. The plant grows about eighteen inches tall and produces small flowers that are very attractive to honey bees. Thyme is used in stuffings, meats, stews, fish, and game. Thyme is part of bouquet garni, herbes de Provence, and the Middle East spice blend Zahtar, along with jerk and curry blends. Most Thyme is imported from Spain. Although French Thyme is recognized as being of higher quality than the Spanish variety, only limited quantities are grown each year. Thyme dates back to ancient Greece, where it symbolized courage. Roman soldiers bathed in water infused with thyme to gain vigor, courage and strength. In the Middle Ages, ladies embroidered a sprig of Thyme on the scarves of knights for bravery. Cinnamon ( Cinnamomum verum , synonym C. zeylanicum ) is a small evergreen tree 10-15 m tall, belonging to the family Lauraceae , native to Sri Lanka and Southern India . The bark is widely used as a spice. The leaves are ovate -oblong in shape, 7-18 cm long. The flowers , which are arranged in panicles , have a greenish colour and a rather disagreeable odour. The fruit is a purple 1 cm berry containing a single seed. Cinnamon is harvested by growing the tree for two years and then coppicing it. The next year a dozen or so shoots will form from the roots. These shoots are then stripped of their bark and left to dry. Only the thin (0.5 mm) inner bark is used; the outer woody portion is removed, leaving metre long cinnamon strips which curl into rolls ("quills") on drying; each dried quill comprises strips from numerous shoots packed together. These quills are then cut to 5-10 cm long pieces for sale. Rhus is a genus approximately 250 species of woody shrubs and small trees in the family Anacardiaceae. They are commonly called sumac or sumach. Some species (including poison-ivy, poison-oak, and poison sumac), often placed in this genus, are here treated in the genus Toxicodendron, which differs in highly allergenic foliage and grayish-white fruit but is not genetically distinct. The name derives from the Greek name for sumac, rhous. The leaves are spirally arranged; they are usually pinnately compound, though some species have trifoliate or simple leaves. The flowers are in dense panicles or spikes 5-30 cm long, each flower very small, creamy white, greenish or red, with five petals. The fruit form dense clusters of reddish drupes. The genus is found in subtropical and warm temperate regions throughout the world, with the highest diversity in southern Africa. Ürünlerimiz yetişdiği yörelerden özenle seçilerek KURUOGLU GROUP kalitesinde otomatik makinaklarda el değmeden hazırlanmıştır. Lütfen güneş ışığından ve rutubetden uzak tutunuz. Our products have been carefully selected from out of prepared by automatik machines without hand contact the quality of KURUOGLU. Please do not expose to sunlight. 1) 1 package of Kmark Meatball Mix is used for 1 kg. of ground meat. Pour 1 package of Kmark Meatball Mix and 1 glass of water over 1 kg. of ground meat in deep bowl. 2 ) Knead the mix for 5 minutes. Shape as meatballs and cook as you desire. 3 ) You can use Kmark Meatball Mix at all kinds of meatball (gril, oven, frying, boilling Doner and hamburger. Kmark BLACK PEPPER shares with you the adventure of taste composed of best black pepper grains all along the process from the field to your table. It offers 100% naturalness guarantee with Black peppers picked up carefully without using any additives at all. Areas for Use : Being an essential component for all foods, it is particularly used on meat and meat products, flavourings and vegetable, chicken and fish soups, as well as on vegetables, sauces, stuffed meals with olive oil and meat, and pickles and salads. Benefits : Plackpepper enhances gastric and pancreatic secretions, eases up digestion, lowers sugar level, prevents intestinal putrefaction and gas, relieves anemia, and reinforces nerves, as well as being a good appetizer and energizer. AREAS FOR USE: Kmark Garlic Powder can be used on minced meat, pasta (macaroni) sauces, boiled meals and soups. Garlic Powder can be used on brines or, after mixed with a variety of plants, you can spread such mixture over beefsteak and poultry dishes by rubbing by your hands and you can then cook it. You can use it for all dishes, sauces, salads, and meat and meat products. BENEFITS: it is good for artery calcification. It heals wounds and boils. It eliminates cramps. It strengthens lung, liver, gall bladder and heart. It kills intestinal worms and other parasites. It disenfect gastro-intestinal structure. It destroys harmful bacteria. It is a good appetizer. It destroys influenza. It is very good for tracheal disorders, bronchitis. It lowers blood pressure. It relieves fever. It eliminates intestinal gases. It kills influenza microbe and thus protects body against this disease. It prevents formation of stone on urethra.It strenghens cardiac muscles. Our target is being called and live with quality. Kmark Second generation has a vision that Kmark Spices will become exporting all world and has a big place in Turkey`s economy.